However, for the every day person who works a full time job, has kids, and a laundry list of other things keeping them busy... it's very hard to sustain such diets for a long period of time. That goes completely against the #1 Rule when it comes to making progress in anything. What we do here at Hybrid Fitness is different than these diets - in fact, we don't even consider what we do a diet. The "method" that produces the most fat loss results is developing simple (yet effective) habits. The reason being - they don't overwhelm you and you can do them forever without burnout. 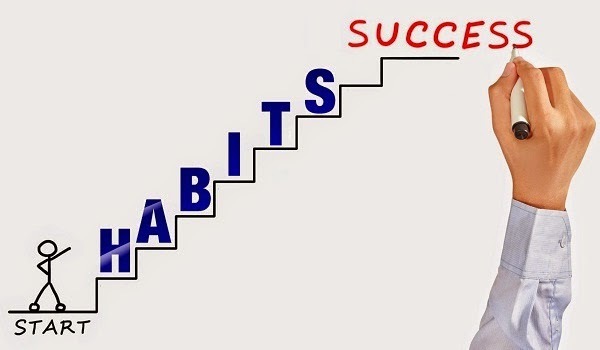 If, over time, you can consistently apply the following 4 habits to your everyday life, you will not only have more energy, become stronger and feel better, you will drop fat and fit better in your clothes. Imagine how the extra energy and confidence from making positive progress in your health could impact your life! By just adding an additional 20 minutes of steady exercise a day, you will get an energy boost, burn some extra calories, and feel good that you moved a little bit during your busy day. Make sure your heart rate elevates above where it normally is, and over time, you will realize that the 20 minutes turns into 40 minutes without even trying via the snowball effect. Instead of forcing yourself to walk or hop on the elliptical, you will eventually not want to stop. Keep this goal at 20 minutes. If you increase it to 60 minutes - that's harder to achieve, and you'll beat yourself up if you only are able to exercise 30 minutes. Just do 20 minutes a day and your body AND mind will be in a good place. On the days you do over 20 minutes - you did extra. You are awesome! Our members here will do our strength training workouts three days a week for 60 minutes, and on their off days do their 20 minutes of exercise. If you're just starting with exercise, don't worry about the strength training if you're going in on your own (although I highly recommend doing this at some point). Just build the habit of exercising! Eating until 80% full is a little bit more subjective, but here's how you can tell when you're at 80%. After you eat your meal, you feel life you could still do some exercise without wanting to puke. You feel good, NOT lethargic. You know you passed 80% when you get the Chinese buffet effect aka want to take a nap! 80% full should last you about 3-4 hours of being satisfied before you get really hungry again. If you get hungry within an hour or two, you should probably increase the amount you are eating in the meal. Eating consistently throughout the day will help keep your hunger levels down, preventing binges of chips and chocolate later in the day. Spread the meals out as needed or as fits to your lifestyle - however, about 4 hours in between each meal works pretty well. You can also add a forth meal in if you feel hungry towards the end of the day. I find that most people who have been trying to lose fat for many years actually under eat, so eating 3 meals a day can seem like a lot. Having lower calorie intake over long periods can drop your body's metabolism and will drop your energy levels. As you eat more food and add in exercise to your daily routine, your appetite will improve, you'll start to build some strength, and your energy will increase. For Women, I recommend eating a palm of protein (25g) , a fist of veggies, a cupped hand of fruit or carbohydrates (25g), and a thumb or a tbsp. of fat (15g) each meal. For Men, I recommend 2 palms of protein (50g), a fist to 2 fists of veggies, 2 cupped hands of carbohydrates or fruit (50g), and 2 thumbs or tbsps. of fat (30g) each meal. This is a good starting point, and adjustments can be made from there. Most of us don't drink enough water. The optimal amount is somewhere around half our body weight in ounces (unless you are extremely obese). At that point, I would max your water intake at about a gallon a day. So if you weigh 180lbs, about 90oz of water would be optimal. However, if you are only drinking a bottle or two of water a day, jumping up to half your body weight in ounces can be very overwhelming. I suggest just adding an additional cup a day. Once you master that, you can add an additional cup until you work your way up to the optimal amount. You will see amazing results - and you won't feel overwhelmed. On top of that, these four habits are something you can keep with you for the rest of your life. If you'd like some help tracking your habits so you can make progress, or would like some custom habits made for you based off of your individual situation, you can sign up for a free goal setting session at our gym! Just go to http://hybridfitnessgym.com and fill out the form on the page!